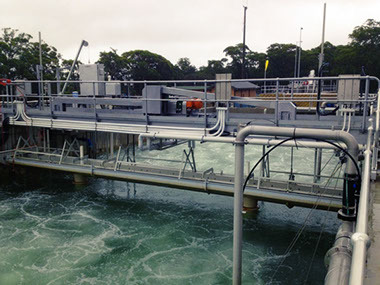 The upgrade works at Shoalhaven Heads WWTP replaced the existing activated sludge wastewater treatment process using Pasveer Channels with an intermittently decanted extended aeration (IDEA) process. An IDEA based process provides both functions of a traditional activated sludge treatment process with aeration and settling within the same IDEA tank. All works were carried out while the plant was live.